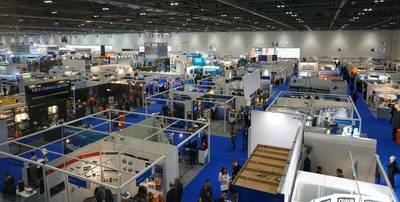 Next year’s Oceanology International London (OI London) is set to expand with the launch of the Ocean ICT Expo, a brand new parallel exhibition focused on the IT, communications and data solutions that form the technical foundation for modern oceanspace research and industry. Taking place in conjunction with the marine science and ocean technology event Oceanology International 2018 at ExCeL London on March 13-15, 2018, the all new Ocean ICT Expo has been developed as a showcase for innovative enabling technologies, including the latest satellite communication, data and networking services that facilitate safe, high speed transfer and use of data from the ocean. By bringing together organizations providing solutions for communications, data storage, networking and analysis, Ocean ICT Expo aims to add a new data-centric dimension to Oceanology International’s already diverse approach. The OI conference will expand to include specific Ocean ICT Expo tracks and an additional seminar area within the exhibition, with papers and presentations delivered by leading experts from global software, hardware and communication services companies covering the latest technologies and best use of ICT solutions to enable further progress in data acquisition and analytics. 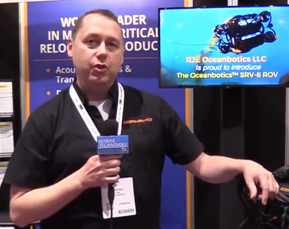 “While Oceanology International is primarily about the technology, instrumentation, sensor and support platforms required for observing, measuring and operating in the world’s oceans, Ocean ICT Expo is a new platform for the industry to connect with the makers of the IT and communication solutions that enable the delivery, storage and analysis of the ever increasing amounts of data acquired from the ocean,” said David Ince, Event Manager, Reed Exhibitions.